Central Baptist College President Terry Kimbrow has announced the hiring of Duffy Guyton as the Director of Church Relations. Guyton will also assist Dr. Aaron Brister as the pitching coach for the CBC baseball team. In his capacity as the Director of Church Relations, Guyton will be responsible for building and cultivating passionate and sustainable support for the college through planning and implementing programs which engage local churches in the mission of the college. Guyton comes to CBC after serving at the Mid-America Baptist Theological Seminary (MABTS) in Cordova, Tenn. for the past 17 years. While at MABTS, Guyton served in various roles, most recently as the Chief Development Officer, Dean of Admissions, and Athletic Director. Guyton has also served as the bi-vocational pastor at Shelby Forest Baptist Church in Millington, Tenn. for the past three years. Also during his time at MABTS, Guyton served as an interim pastor for First Baptist Church in Coldwater, Miss., from January of 2008 to August of 2009 and was the senior pastor at Hickory Grove Baptist Church in Moscow, Tenn., from November of 1999 through December of 2001. 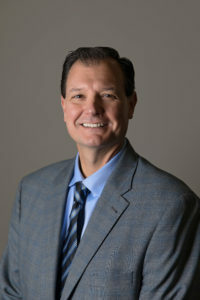 Prior to working at MABTS, Guyton served two years as the associate pastor of Central Baptist Church in Brighton, Tenn.
His college administration experience began at Dallas Baptist University, where he served from January of 1996 to September of 1997 as the Director of Freshman and Transfer Recruitment. Prior to serving in that capacity, Guyton served as the Assistant Baseball Coach, Director of Athletic Fundraising and Head Cross-Country Coach for four seasons from 1992 to 1996. While at Dallas Baptist, he was the volunteer leader of the youth ministry at Faithway Baptist Church in Irving, Texas for five years. Coach Guyton also has almost 15 years of coaching experience in baseball at the homeschool, summer collegiate league, high school and NAIA levels. His coaching experience began at Dallas Baptist, where he was the pitching coach and lead recruiter for four seasons, where he recruited three players that went on to play Major League Baseball (Scott Mullen, Brandon Harper and Jason LaRue). While at DBU, he was also an associate scout for the Kansas City Royals and the head coach of the Dallas Indians Southwest Collegiate Baseball League squad for one season. After a break from coaching, Guyton re-entered that foray by becoming a head coach and assistant coach at the Memphis Homeschool Association Baseball Organization. Guyton, a native of West Monroe, La., earned his Bachelor’s degree in secondary education from Dallas Baptist in 1993 and earned his Masters of Education in higher education from DBU in 1997. He also earned his Masters of Divinity from MABTS in 2001. He is married to Dawn and the couple has four sons, Caleb, a 2017 CBC graduate, Ryan, a junior at CBC, and twins Matthew and Andrew, who will both be freshman at CBC this fall.